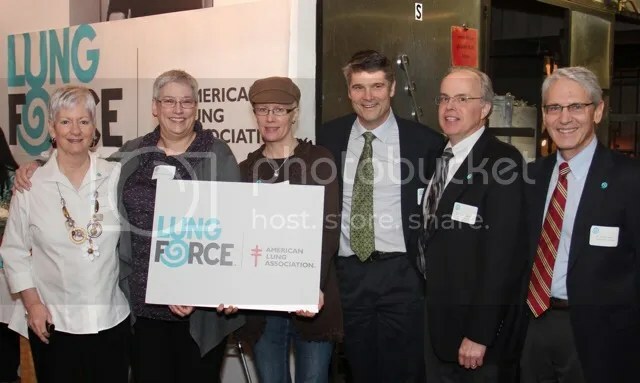 On January 29, the launch event for the American Lung Association’s new national LUNG FORCE initiative occurred in Seattle. As stated on the LUNG FORCE website, “LUNG FORCE is a new national movement led by the American Lung Association with a singular mission: to unite women to stand together against lung cancer and for lung health.” ALA chose to focus on women because market research indicated that was the best way to break the stigma of lung cancer and bring it into public awareness. ALA’s aim for LUNG FORCE is to raise money for lung cancer research, education and advocacy. 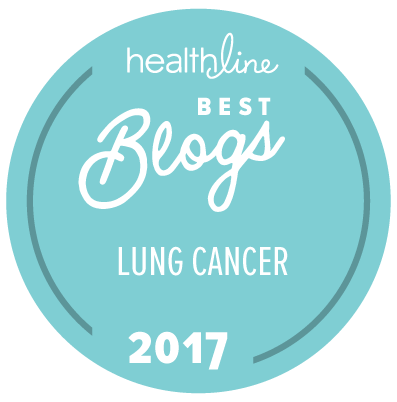 They are extremely responsive to the patients’ voice and are genuinely interested in promoting the concept that ANYONE who has lungs can get lung cancer, and NO ONE deserves to die from it. Seattle is the launch city for the first LUNG FORCE Walk. I’m on the Patient-Survivor-Family Cabinet of the ALA’s Mountain Pacific chapter in Seattle. This chapter also has a Medical Professionals Cabinet, among them oncologist Dr. Howard (Jack) West, Medical Director of Thoracic Oncology at Swedish Medical Center and Founder of cancerGRACE.org (who was unable to attend the kickoff due to horrendous traffic); Dr. David K. Madtes. Director of the Lung Cancer Early Detection & Prevention Clinic at Seattle Cancer Care Alliance (an NCCN facility); and Dr. Steven Kirtland, Medical Director of the Thoracic Oncology Program at Virginia Mason Medical Center (and, coincidentally, my pulmonologist). We also have a cabinet of women business leaders. I’m thrilled that an established, large national public health organization has chosen to join the effort to eliminate the stigma of lung cancer, educate people about symptoms, champion early detection, and promote research funding. Although ALA has long had a strong anti-smoking program, they are acutely aware of the need to keep it separate from LUNG FORCE to avoid promoting further stigma. I’m hopeful ALA is the Big Dog that will tip the scales and finally bring lung cancer into the public’s awareness. And yes, the munchies were yummy! Thanks to Hello Robin, Cupcake Royale, Trader Joes, and st. clouds restaurant for donating refreshments, and glassbaby for donating the meeting space. Patients and Doctors Who Spoke at Seattle LUNG FORCE Kickoff 29-Jan-2014. I’m second from the left; my pulmonologist Dr. Steven Kirtland is third from right. This 17-minute video captures the presentations at the kickoff event. I was the last of three patients who spoke at the event. This entry was posted in Advocacy, Lung Cancer, Public Speaking, The Bright Side and tagged American Lung Association, LUNG FORCE. Bookmark the permalink. You rock, Janet! This sounds like a great organization that will do a lot of good. Pingback: American Lung Association Unveils LUNG FORCE Initiative | Gray … | Pediatric Pulmonary Associates, P.A.